Alabama's Gulf Coast Festival, Hangout Music Festival, announces lineup! The fourth annual festival will take place the 17–19 May on the beach in Gulf Shores, Alabama. 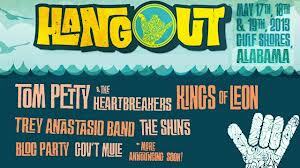 The 2013 Hangout Music Festival will feature Tom Petty & The Heartbreakers and Kings of Leon s the top acts. Click here for a full list of acts and ticket information. 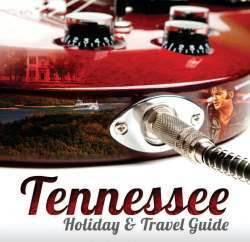 Bridging the Blues in the Ultimate Blues Pilgrimage across the Mississippi Delta through Memphis, Arkansas and Mississippi. 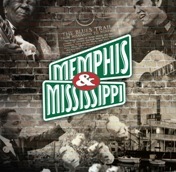 The Mississippi Delta is located in north-west Mississippi and enjoys a rich blues renaissance with festivals, venues, museums and the Mississippi Blues Trail. To help maximise the visitors experience of the blues heritage, the Bridging the Blues project is co-ordinating events over a ten-day period from 4–13 October 2013. 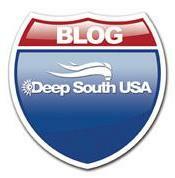 Welcome to the Deep South USA Blog! 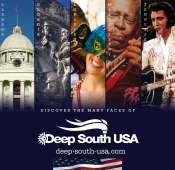 The Deep South USA Blog serves as a guide for everything related to the Deep South and the Southern US states of Alabama, Georgia, Louisiana, Mississippi & Tennessee. Whether it's happening here, in the UK, or over in the states our blog will keep you up to date!